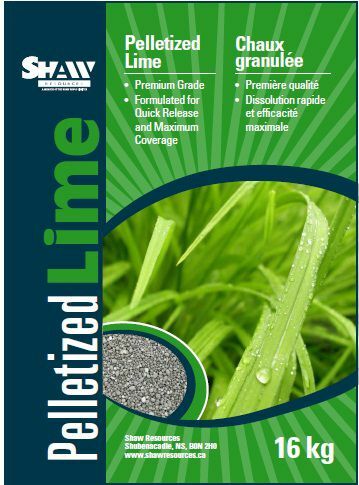  Pelletized lime provides 30 percent better coverage than powdered limestone.  It is formulated for quick release.  It is easier to spread, has less dust and more consistent coverage.  Can be applied at any time (for best results should apply in spring or fall).  A drop style spreader should be used to minimize dust and apply an even coat.  You would typically apply about 30-35 pounds (14-16 kgs) per 1000 square feet every year to maintain ph levels for average (loamy) soil.